Designed in South Carolina’s low country style, this newly constructed 15,000-square-foot shingle style club house, teaching facility and guest house complex is located at the center of a Rees Jones golf course that overlooks the marshlands of the Kiawah River. All of the structures adhere to the strict flood regulations of the coastal area while maintaining an appropriate scale for the function of each building. 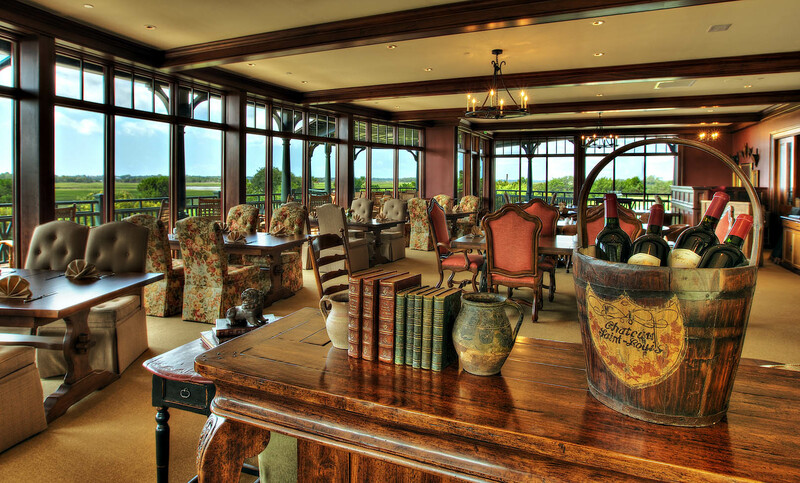 The club house was constructed with wrap around porches and floor-to-ceiling windows to give the members incredible 360 degree views of both the golf course and natural vistas of the river. The successful design provides comfortable interior spaces that connect to the surrounding landscape and give the club a "home away from home" feeling. This property was featured in numerous publications including Town & Country, Golf Digest and Charleston Home & Design Home & Design magazines.